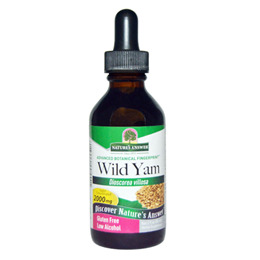 Nature`s Answer Wild Yam is an organic alcohol, Kosher herbal supplement, offering 2,000mg per serving. Nature`s Answer organic alcohol extracts are produced using a cold proprietary extraction process, yielding a Holistically Balanced standardised extract. Liquid extracts are absorbed faster than tablets or capsules. Other Ingredients: Purified Water, Vegetable Glycerin, 12 - 15% certified organic alcohol. As a dietary supplement take 1 - 2ml (28 to 56 drops), 3 times a day in a small amount of water. 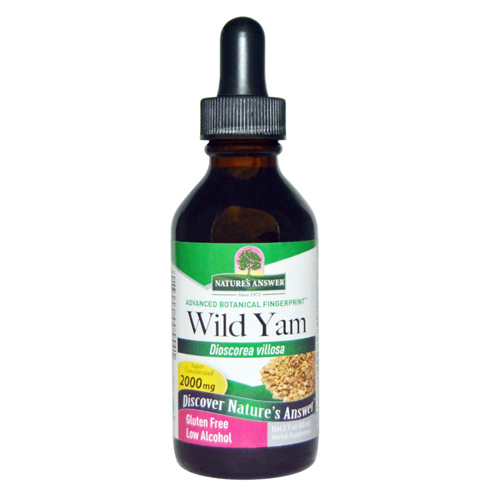 Below are reviews of Nature`s Answer Wild Yam Low Alcohol - 60ml by bodykind customers. If you have tried this product we'd love to hear what you think so please leave a review.